Seattle Writergrrls, a co-host at several Book Publishers Northwest events, decided to close down their email list in November. As a parting message to subscribers, Jenny Hayes and Jenny Neill shared the following local and regional resources for everyone interested in writing and publishing. “ Our main criteria for inclusion was that one or the other of us had a personal tie to [to the organization], and that we found some value in our associations with them,” wrote Neill. Entre Ríos Books, a BPNW member, has released three new poetry books this fall. Like their other books, their focus is on collaboration and the books come with audio to listen to the authors read their work. A full-color collaboration on the politicalization of women’s bodies. Spokane poet, Maya Jewell Zeller, and Seattle artist, Carrie DeBacker, crafted a work of anxious poetics and eco-feminism, much of it created after the election. This book includes a film response by CWU student, Rebecca Starkey, winner of the first ERB Emerging Visions Filmmaker Award, given to women filmmakers in Washington State secondary or college programs. The long-awaited return by one of Seattle’s most intriguing writers, Mary’s Dust collects and reimagines the stories of Marys throughout history. From the Annunciation to Mary Wollstonecraft, from Typhoid Mary to September 11, 2001, this staggeringly intense and honed work is her first full- length collection since the ALA and Washington Book Award winning, What the Ice Gets. It ships with a digital download of a new cello suite by celebrated Seattle cellist, Lori Goldston. Entre Ríos Books is a small press in Seattle, Washington, with a focus on collaborations between West Coast poets and artists. Beth Chapple of Granite Peak Publications recently returned from Portland’s book festival Wordstock. For the first time in several years, Book Publishers Northwest participated. Two other volunteers, Jill Kelly and Kim Bouchard, met Beth at the table shared with the Northwest Independent Editors Guild. Since Book Publishers Northwest had limited space, it was decided only to take the books previously displayed at the PNBA Fall Trade Show. With mysteries, poetry, and nonfiction titles on display, the table showed off the range of books published by BPNW members. Also available were the bookmarks and other sales literature provided by the publishers for PNBA. “We spent time carrying, displaying, and discussing people’s books. Lots of attendees took the free bookmarks and postcards, so I hope BPNW members are happy with the exposure,” said Chapple. Wordstock granted attendees a $5 “certificate” to be used at the displays. As decided earlier, books were swapped for this certificate. Approximately a dozen books were taken by Wordstock attendees. Money earned was used to reimburse volunteers for having to purchase their ticket into Wordstock and defray the cost of display. Splitting the table with the Northwest Independent Editors Guild helped keep costs down but BPNW still spent far more than exhibit than was earned through sales. Remaining books and sales literature will be brought to the November 28 meeting for pick-up. Unclaimed books will be donated to the Friends of the Seattle Public Library. Book Publishers Northwest’s February 2016 meeting was a meet-up of local publishers and authors to discuss what works and doesn’t work for them. For many, the major task remains marketing. Here’s a few suggestions made during the evening and at earlier meetings in 2015. 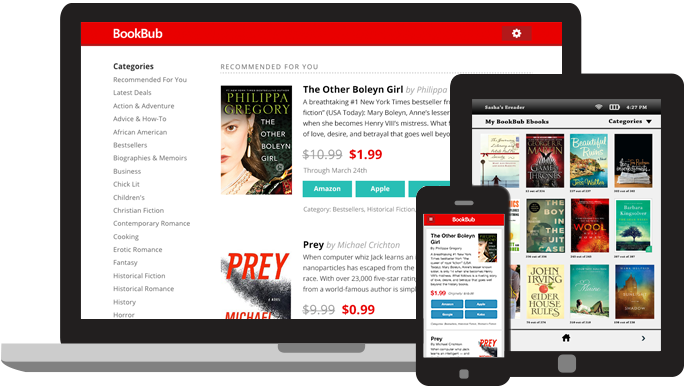 BookBub was mentioned by several members as one of the better sites for advertising ebook deals. This topic will be explored in-depth for BPNW’s March meeting. Largely used by publishers of fiction, “box sets” allow authors to partner with several people to present several ebooks sold together as a “box set.” For those with short fiction or essays, an anthology serves the same purpose. Whether single author or multiple author, box sets are priced so that readers spend less than if they had purchased each book in the set individually. Anthologies also serve as a way that authors can reprint stories or essays previously appearing in several different publications. This technique is used to build word-of-mouth as well as better results in sale site search engines for authors. Such sets work well for “deals” in the ebook newsletters listed above. A variety of websites offer ways to get digital review copies, aka galleys, into the hands of readers, librarians, and booksellers. The best-known and, according to some, most expensive is NetGalley. Unless publishing multiple titles per year, BPNW members suggested joining with other authors or publishers to defray costs. Another site that offers “giveaways” of galleys is GoodReads. GoodReads suggests running a giveaway about one month prior to publication but the timing is up to the author or publisher. Pacific Northwest Booksellers Association runs a program for publishers to send review copies to interested booksellers called Northwest New Title Preview. Information about this and other advertising programs is available on PNBA’s website. Instagram is all about posting images via smartphones or tablets. It can be viewed but not accessed through laptops or desktop computers. Nonfiction publishers with photo-heavy books can tease a topic with selected pictures or using pictures that didn’t make the final printed edition. Several mentioned that using hashtags (#flowers or #Seattle) are essential for building a following. It was suggested that for each photo posted that people should put three or more hashtags in the comment section. Got a tip that you’d like to share? Post it in the comments section.